If you’ve ever doubted the scale of shipping around the world, here are 250 million things that will convince you of its sheer size. Commercial shipping is vital to the movement of goods around the world, and a cornerstone of global trade. As this map from Kiln , a data visualization company, highlights, its complexity and size should not be underestimated. The company says the map contains some 250 million data points. These cover the movements of the global merchant fleet in 2012, as well as other figures, such as the amount of CO2 emitted and the maximum freight carried by the ships. You can view the full interactive map here . 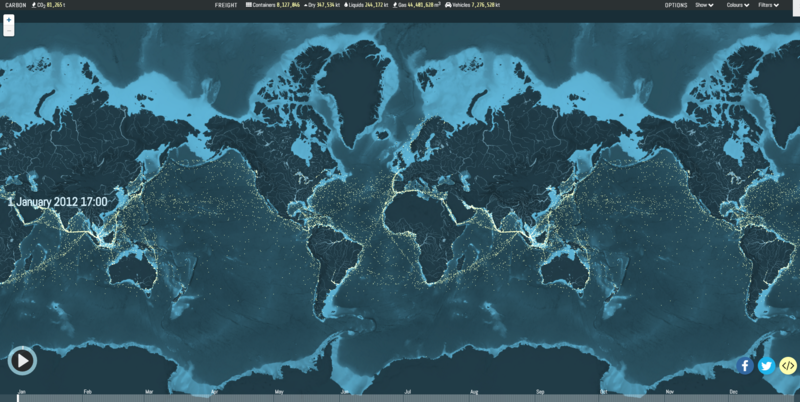 The dots represent the entire movements of the global merchant fleet over the course of 2012. Major global shipping lanes are clear, with high densities of ships seen around Europe as well as the Far East. 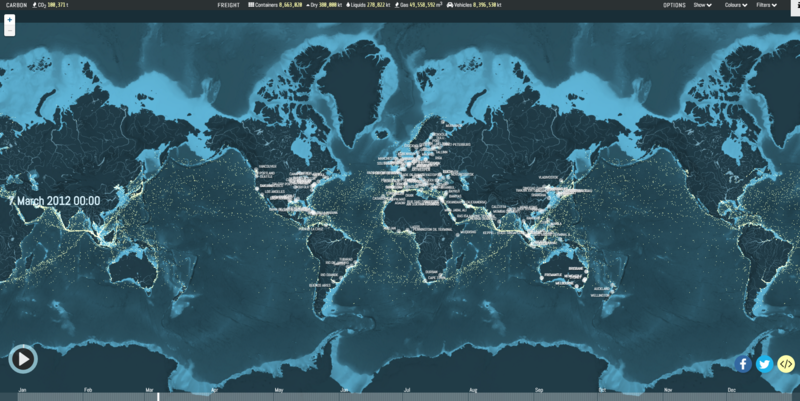 You can also adjust the map to highlight the different types of ship or show major ports and routes around the world. Although some ships appear to be moving across the land, the map’s creators explain that these are major rivers or canals, which may not be immediately clear on the map. The map also offers a rising count in goods across the year, as they are shipped around the world. The similarity of the shipping lanes to blood vessels is an apt metaphor for the role of shipping in global trade. According to the International Chamber of Shipping , around 90% of world trade is carried by ships. As the World Economic Forum’s E15 Initiative has highlighted, effective global trade is “crucial for reinvigorating economic growth and confronting 21st century global challenges”. In a globalized world, shipping is a vital part of an effective trade network. So, while the scale and complexity of the global shipping industry is made clear by the map, its importance should also not be forgotten.